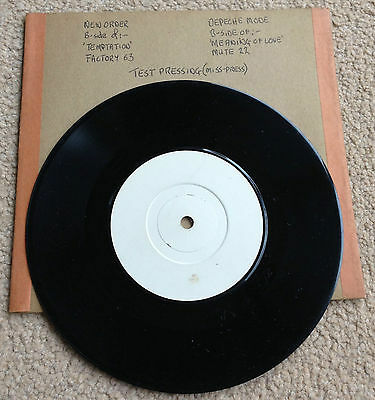 Incredibly rare test pressing misspressing that features the B Side of Depeche Mode's Meaning Of Love and the B Side of New Order's Temptation. Please e-mail me with any questions. Good luck and happy bidding!